Megger’s MFT1741 multifunction tester features rugged construction to ensure long life even in tough working conditions. 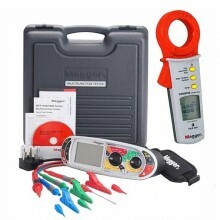 Includes: Printed quick start guide, Full user guide on CD, Calibration certificate, Switched probe SP5, Neck strap - Megger embroidered, 3 Wire lead set with prods and clips, Mains plug test lead, AC battery charger, Large soft pouch with extra storage. 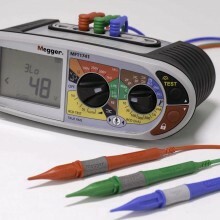 The Megger MFT1741 multifunction tester is an instrument designed for testing low voltage electrical installations and especially in locations that suffer from high electrical noise. The MFT1741 offers all of the facilities needed to test electrical installations in line with the requirements of the IET Wiring Regulations, as well as valuable additional functionality such as the earth electrode resistance measurement. 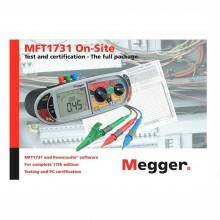 As well as three-wire non-trip loop impedance testing, the MFT1741 offers two-wire testing, which is invaluable when tests must be carried out at locations where no neutral connection is available. High-current testing which delivers the fastest possible results for circuits that are not protected by an RCD or RCBO is also available. Prevents any influence the RCD may present to the total loop impedance value. Faster non-trip loop testing down to 8 seconds. 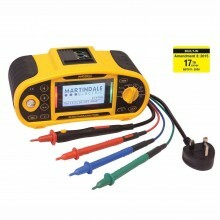 This technique also allows testing of loop impedance through 10mA type AC and Type A RCDs. 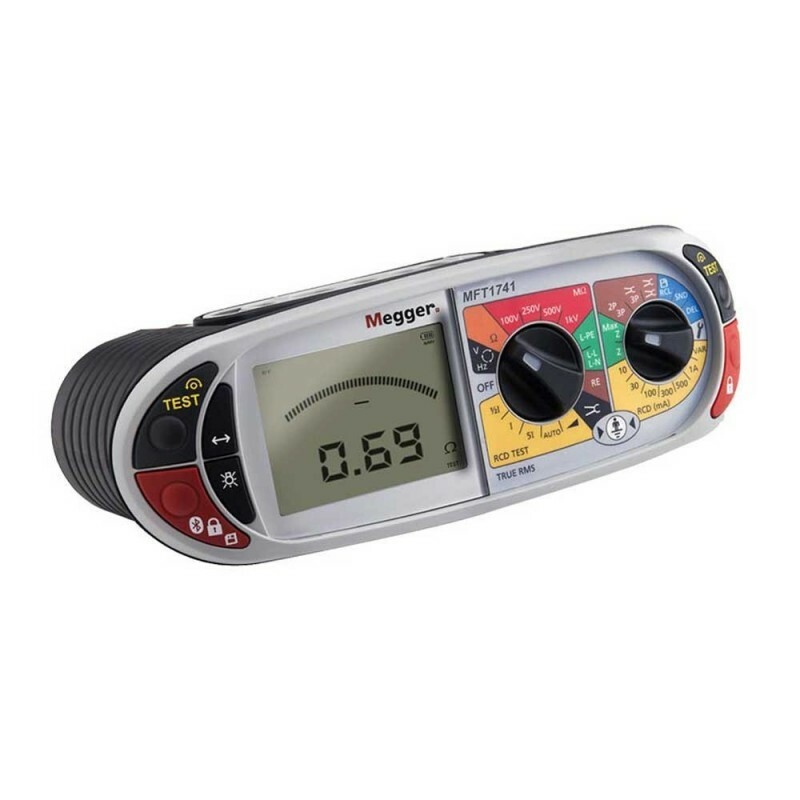 Overlaying the new non-trip loop impedance measurement is the new Megger “Confidence meter”. 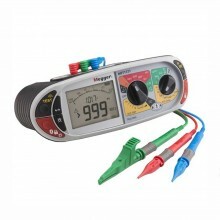 As loop impedance values can be dramatically affected by circuit noise, the Confidence Meter displays the degree of confidence in the accuracy of the measured loop impedance. Using the digital ARC to indicate the analytical process, the measurement is continually monitored and adjusted when circuit noise is present, resulting in a dramatically improved and repeatable test result. Enhanced non-trip loop impedance measurement technology. “Confidence meter” measurement analysis (patent pending). Full single and 3 phase compliant installation testing. 10 mA to 1 A single and 3 phase RCD testing. Output voltage -0% +20% at rated load or less. 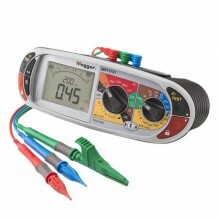 Voltage display ±3% ±3 digits ±0.5% of rated voltage. Internal current measurement: 0 to 220 A. 100 Ω ~ 99.9 kΩ - ±5% ±2 digits. Open circuit voltage 5 V ±1 V.
Live to earth/neutral supply 48 V ~ 280 V (45 Hz ~ 65 Hz). Live to live supply 48 V ~ 500 V (45 Hz ~ 65 Hz). L-N/L-L tests ±5% ±5 digits. 40.0 Ω ~ 1000 Ω: ±10% ±5 digits. Supply up to 100 mA 48 V ~ 480 V (45 Hz ~ 65 Hz). 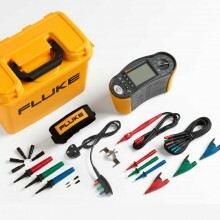 Supply up to 1 A 48 V ~ 280 V.
No trip test (1/2xI) –10% ~ –0%. (1xI, 2xI and 5xI) +0% ~ +10%. 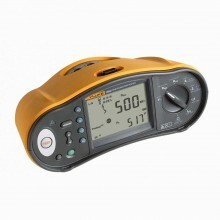 Mains charger for on-board re- charging (4 hours typical). EMC IEC61326 edition 2 location class B. 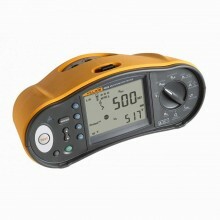 Operating temperature range -10 °C ~ +55 °C. 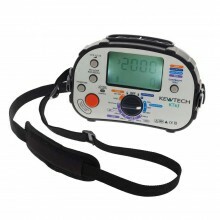 Dimensions 220 mm H x 390 mm W x 285 mm D.
Weight 1 kg (with batteries, excluding case). 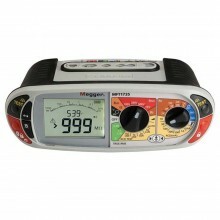 Megger MFT1741 warranty One year (upgradeable to 3 years FREE).